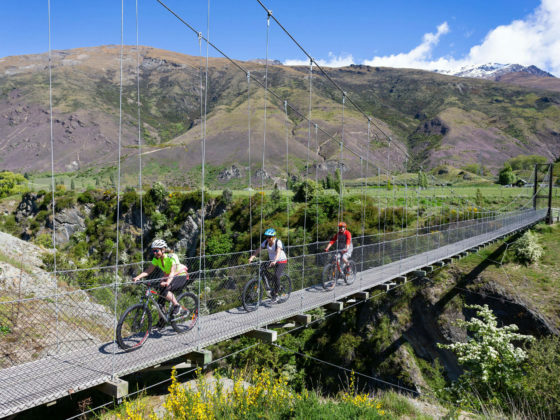 Bike Arrowtown renowned for its iconic mining history and fascinating landscape. 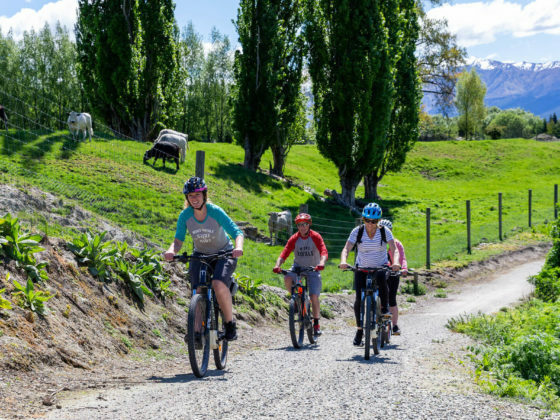 Only 25 minutes from Queenstown, this cycle package is the perfect option allowing you to bike the outstanding trails, passing a winery, crossing suspension bridges, following the rivers and gorges and passing cute farming homesteads! 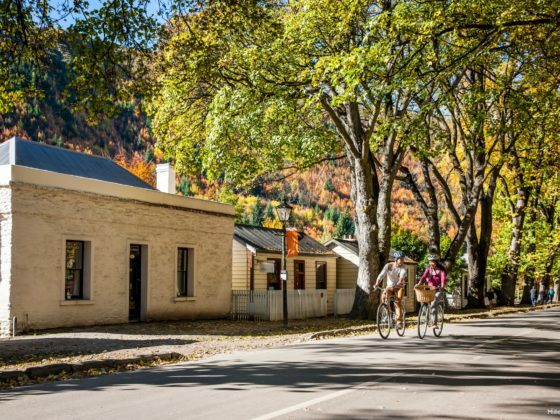 You’ll end your ride in Arrowtown with a couple hours to spare for sightseeing around the shops, cafes, museum or historic Chinese Village. 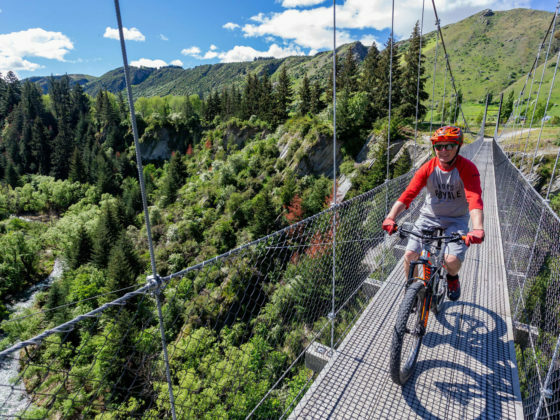 9:00am Departure from Queenstown, your driver will collect you at the bike shop then take the 30 minute scenic journey towards the Gibbston Valley. In the van you’re driver will brief you on cycling safety, import facts to know along the ride, and your pick up location. 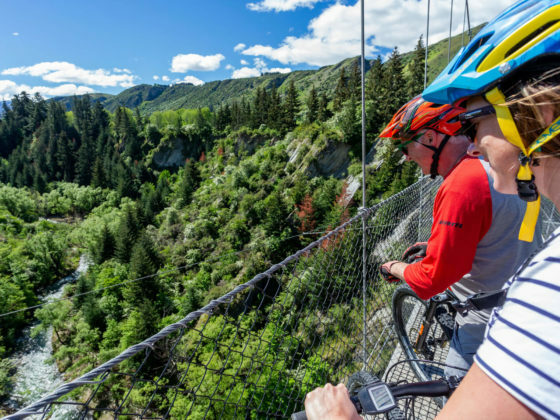 9:30am Get dropped off at the Kawarau Bungy Bridge and leisurely make your way along the trails back to Arrowtown (15kms of trail). Once you arrive in town, you’ll have a couple hours to sight see. 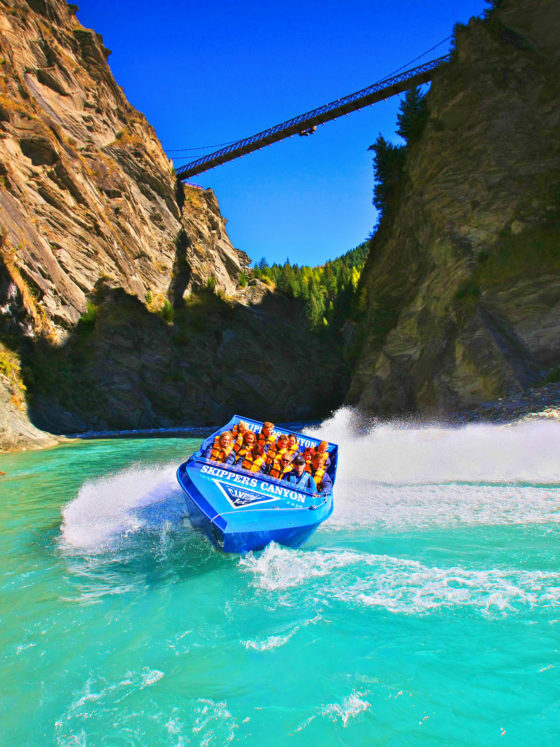 12:30pm Your driver will collect you just outside the Fork and Tap Pub and return you to Queenstown. 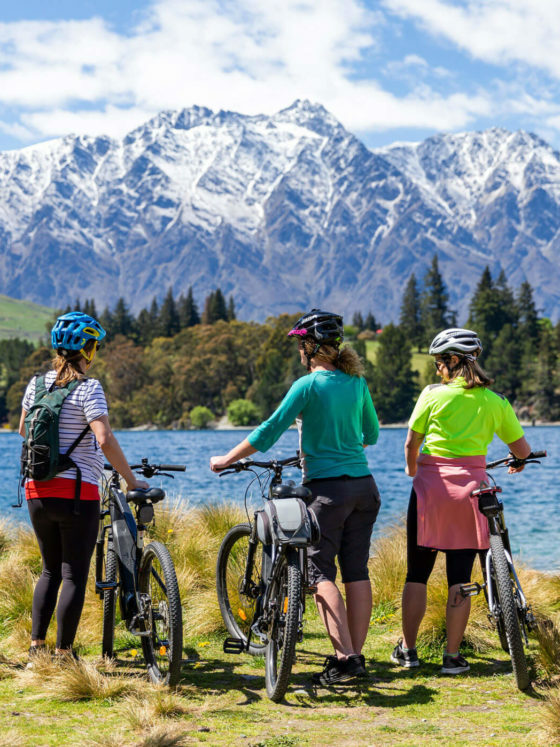 Important Notice – We do not recommend renting an E bike for this particular trip, as there is not many hills, the ride itself is only 15kms. 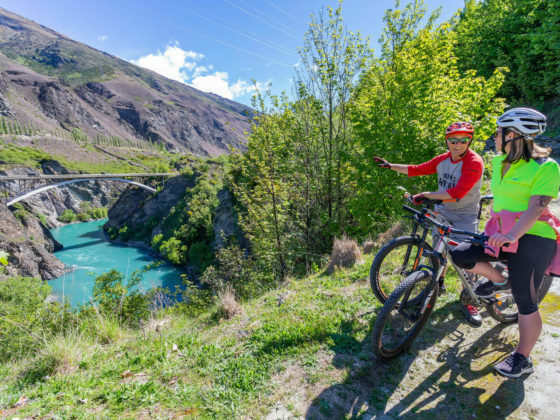 Taking your time allows you to appreciate all the scenery the Gibbston Valley has to offer. Wanna take the leap? Add on a Bungy Jump! E Bike but it is not recommended for this trip, unless you really want it! Want to stop at the Altitude Brewery on the way back for a beer tasting platter? Save $2 and purchase through us for $16! 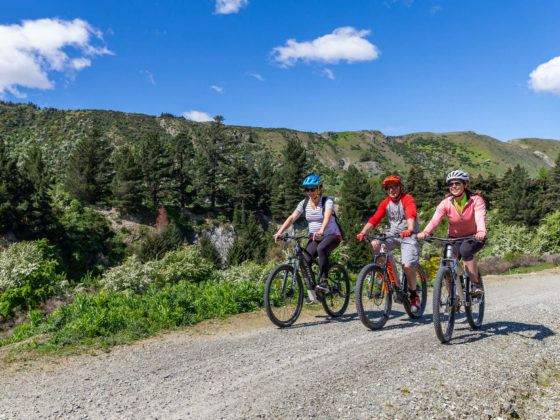 If you’re interested in an afternoon tour – check out our Bike, Wine and Dine trip! 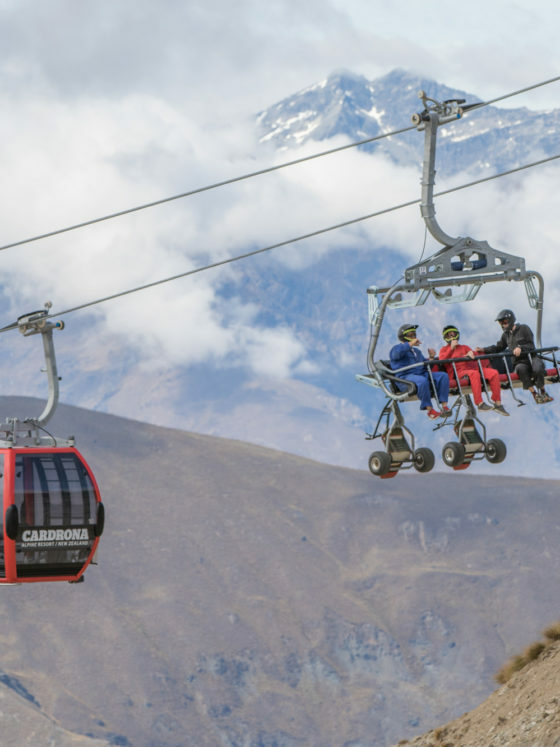 Spend the day on top of the world, with our Cardrona / Crown range sightseeing tour. 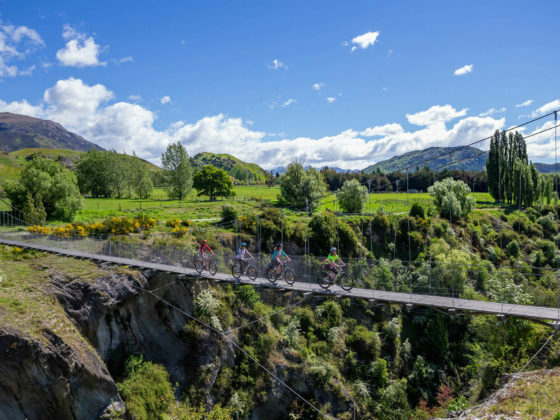 We take you sky high on NZ’s only Chondala. For the thrill seekers, have a bit of uncharted fun and give drifting a try on the mountain carts. After your ski high sights, we head down to the Cardrona Distillery and spend some time learning about spirits & distillation, samples included! 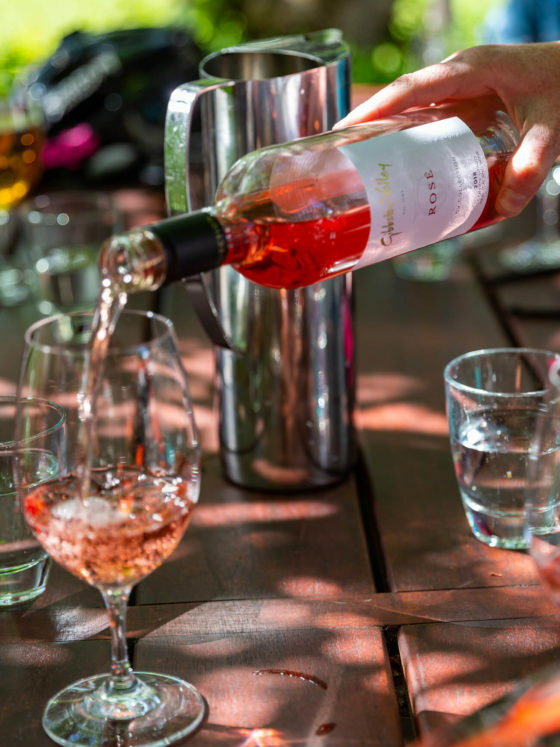 Last stop, the iconic Cardrona Hotel to enjoy a relaxing drink & nibble.